Entry by FaQ on Fri Jan 17 11:38:46 2014. On the calendar Mikasa, Armin, and Levi (also Hanji to an extent) are drawn with small bodies but big heads. Also Mikasas ankles are tiny. Wha- Her head is so big ! 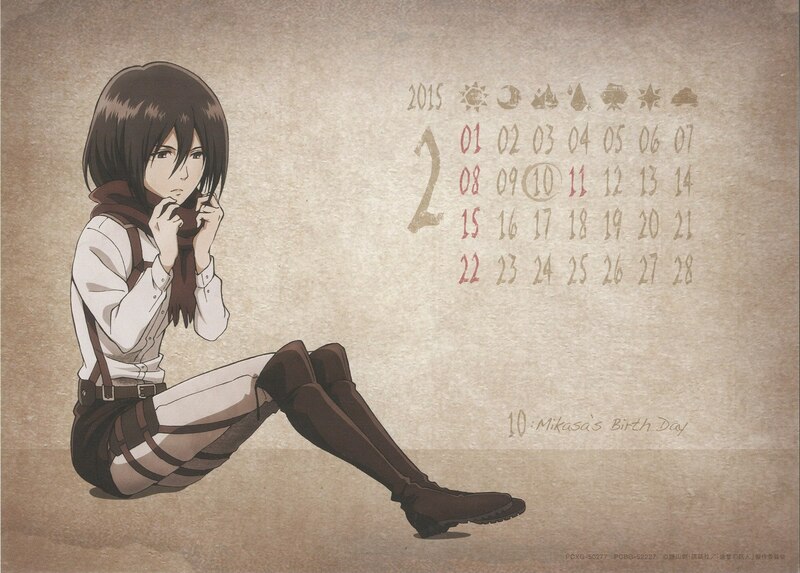 This calendar is really...It's not... ha, I dunno how to say, damn it ( >.< ) !